This year, I had the tremendous opportunity to help plan a conference for news media professionals and journalists in Minneapolis. And it was cool. As star resident, Prince says, so cool. Now, when I say cool, I am not just talking about the climate most of the year. I am talking about the people, the folks who came, the people who live there and shared a smile, and most importantly, what I saw, learned and experienced. We partied at First Avenue, the legendary nightclub in Prince’s “Purple Rain” with a stage once graced by the legs of Tina Turner. That was pretty great but the real excitement came a week later when part of the roof caved in. Whew, we were lucky. 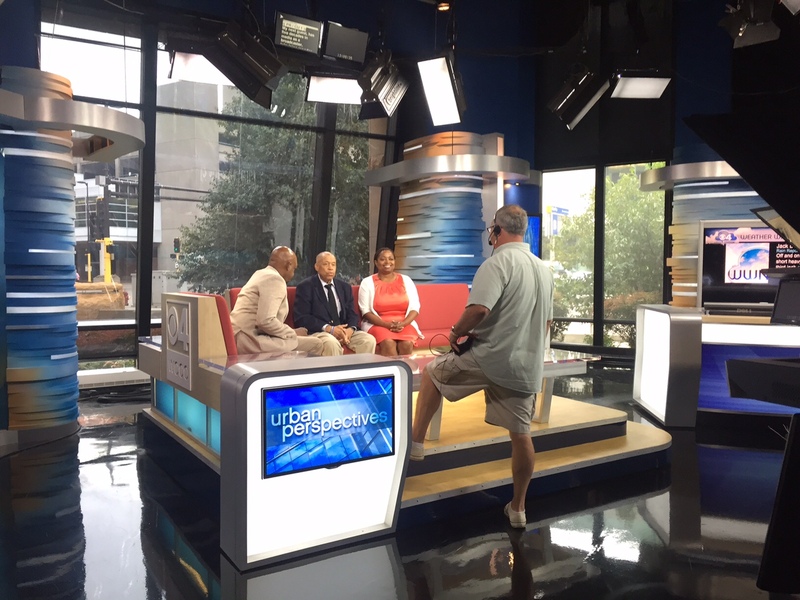 I appeared on Urban Perspectives on WCCO. I felt inspired that morning because good things do still happen in our cities. Urban Perspectives with Pete Rhodes hosted me and several others. You see, the difficult hurdle in planning five days of programming – beyond budgetary constraints – was that very few A-list speakers just decide to pass through Minneapolis. It’s not like Philadelphia where someone will make a stop on a trip headed north to NYC, or pop off the Amtrak on their way to D.C. to present a panel. Yes, Prince lives there but his booking fee is $1 million and while he invited us in, we could not even coax him to play a single song when we visited Paisley Park Studios. We got a DJ instead and didn’t she know all I wanted to hear was Prince? And I violated his rules. I snapped a pic while in front on his Purple-badness studio. And like a tourist, I took the $2 train ride to Mall of America. Ate with the husband and bought a few things. It was a must-do. If I had more time, I definitely would have pursued water sports. Lesson here: A trip is what you make it. Getting to Minneapolis as a friend mentioned to me today, cost them $750 for flights. It is off most people’s beaten paths.My friend’s next trip is Chicago, and guess what that cost? $80, round-trip. So you see, just dropping into the Twin Cities is not just something you do. You have to plan it. But once there you can definitely feel so cool. Do you ever sit back and think about the best trips you ever had? For me, those trips center around family. 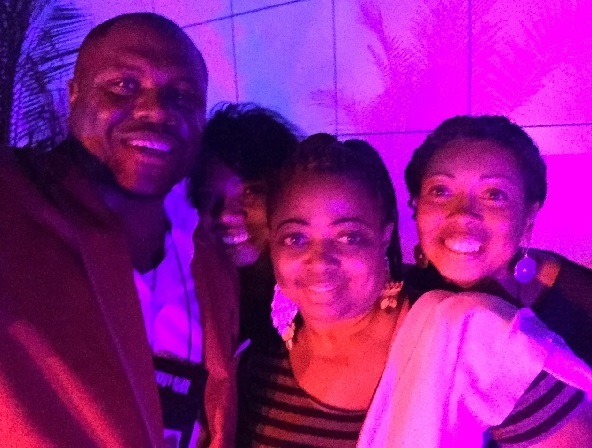 A half dozen family members flew to New Orleans last year for Essence Fest. It was the first visit to the Crescent City for some of the family that married into the clan so it will be forever memorable. This year, we hit Ocean City, Md., for Memorial Day weekend which happened to be my birthday weekend. Lovely planning by my family – well, except maybe for the cooking all weekend part. Thanks daughter for always leading that charge! So we rented a place facing the beach and spent three glorious days on the experience. Caramel popcorn, sangria, s’mores with my new recipe of white chocolate and peanut butter cups. Yum. It’s a bit corny but we walked together every day. 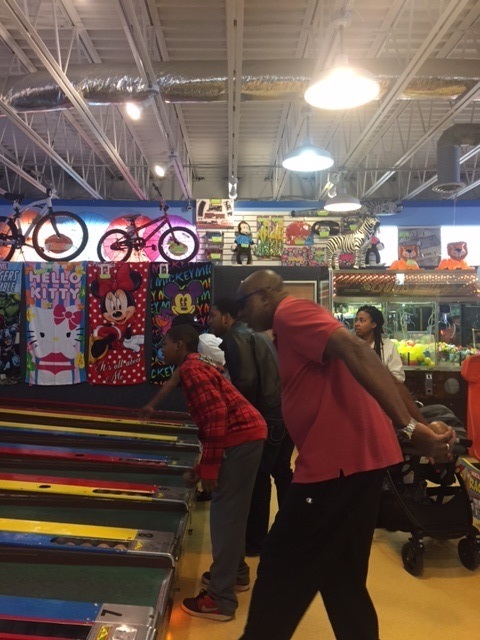 We even got the guys to compete at Skeeball. Someone had serious “skeels;” others, not so much. Had great food. We had each other. We even braved the chilly waters once, but the most important thing is this: We vowed to come back again. The Game’s Girl has a Guy! 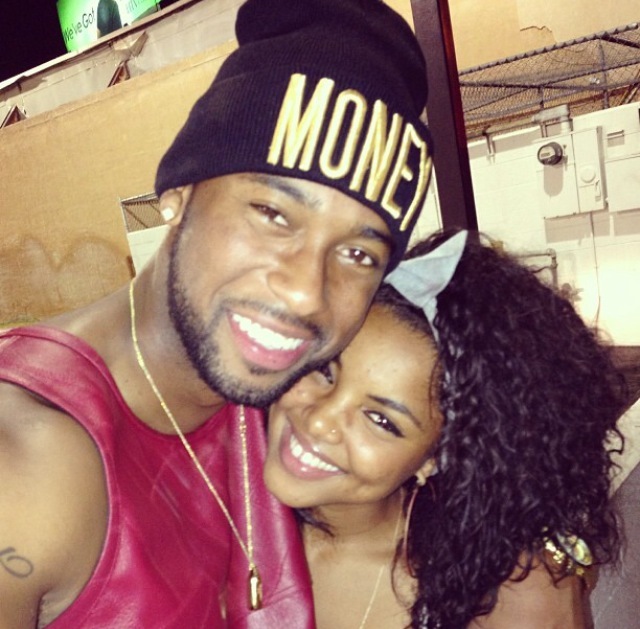 All this time everyone thought Game’s assistant LoLo aka @LeauxSteez was single. Sources are telling me that Lo Lo may have something we don’t know, a boyfriend. And he’s kinda cute. Check him out on Instagram @mraustin2u. Her post today let’s the world know he is hers. Ain’t nothing wrong with having a good man and showing the world! It’s a very rare film that serves an all-star cast well. “The Butler” is an exception, it serves pretty much every one of its stars well. And that cast includes Forest Whitaker, Oprah, David Oyelowo, Lenny Kravitz and John Cusack. Who could have imagined Jane Fonda as Nancy Reagan, other than Philly’s own Lee Daniels? Yet I am sure she could because Hollywood was her backyard growing up. Filmmaker Daniels, Cuba Gooding Jr and Yaya Alafia attended the special screening of the film at the Kimmel Center’s Perelman Theatre, newly fortified with a brand new digital screen, four times brighter and sharper than HD. The film’s mostly chronological unfolding focuses on the U.S. Civil Rights movement – taking the viewer to the heights of good times, family and friends to the low lights – racism, family strife and infidelity. There are ugly scenes like spitting on black patrons sitting in at the lunch counters of the South. This is not an escapist film. But what you cannot escape is the depth of the performances given by Whitaker, Oprah, Gooding and the rest. Even my girl Mariah Carey pops up in here. As I left, the buzz was Best Picture. Dinosaur BBQ in Syracuse is a must do. You can skip the one in NYC. Syracuse was the mecca for a period of my life that started when I attended Colgate University and continued for about three years until I fell on the ice twice. But the springtime and summer in Syracuse are a different story. Syracuse is where I had my first apartment – unsupervised by parents or school authorities – you can read between the lines on that! It’s also one of the friendliest places, maybe the friendliest place, I have ever lived. Once when I moved within the Westcott community, I recall that almost every sports writer at the Post-Standard assisted my sister, nephew and I with hauling our boxes, assorted furniture and beds. And they did all of the work and they did it for just a thank you and a six-pack. Yup, it is hard to have those kinds of friends in many cities. I thank Syracuse for letting me experience these folks. You know the ones, if you need them, they are there. It was a college graduation that brought me back to the area in May. My sister graduated from Syracuse University and it was party time. And this is where the BBQ at Dino comes into play. Sitting down and enjoying a sweetheart meal for two is a unique experience. I have no problem convincing my husband to indulge in ‘Q as he and my daughter would eat BBQ in some form every day. Give her a burger, hand him a rib. And if you like the Eagles you can recall the career of the man who is still in the team’s top five best quarterbacks, Donovan McNabb, who contributes to his alma mater – now my sister’s alma mater as well. Ahhh – Chumash Casino and Spa! 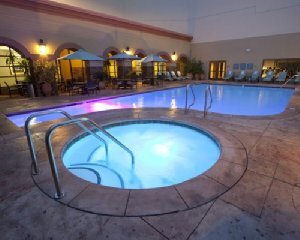 Very relaxing afternoons can be spent in the hot tub and pool at Chumash. The best part of travel is experiencing a hidden gem. That is my experience at the Chumash Casino and Resort which is tucked into the Santa Ynez mountains north of Santa Barbara and near Solvang. And what I loved the most was the experience for the price – just $23.50 for a day pass! This spa offered an outdoor pool, hot tub, sauna, a relaxation room of soothing tea and snacks, showers with conveniences plus various treatment rooms. The afternoon began with my sisters and bestie celebrating a special birthday. We went upstairs to the bar which features specialty cocktails infused with what else – Tequila – a Southern California staple. Then we each signed up for casino cards which gave us a $1.50 off the spa’s regular pass price of just $25. We luxuriated in the pools, laid in the sun, munched on snacks, sipped complimentary water and enjoyed a day in the California sun. This experience is HIGHLY recommended. And I am now a spa convert – on the lookout for similar deals! 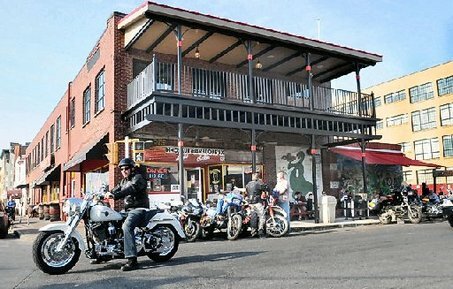 Ocean City, Md – The Offseason is On for dog lovers! Dogs running through waves and catching Frisbees are a classic beach movie scene. But if you own a dog in the mid-Atlantic region, I am sure you have encountered the same issue we have: No Dogs on the Beach! We found a welcome mat for our sixth family member, Gizmo, in late April during a family trip to Ocean City, Md. We stayed at the Clarion Resort Fontainebleau Hotel where everyone treated Gizmo like royalty. The hotel had a floor reserved for pets and he was welcome up and down the Boardwalk. 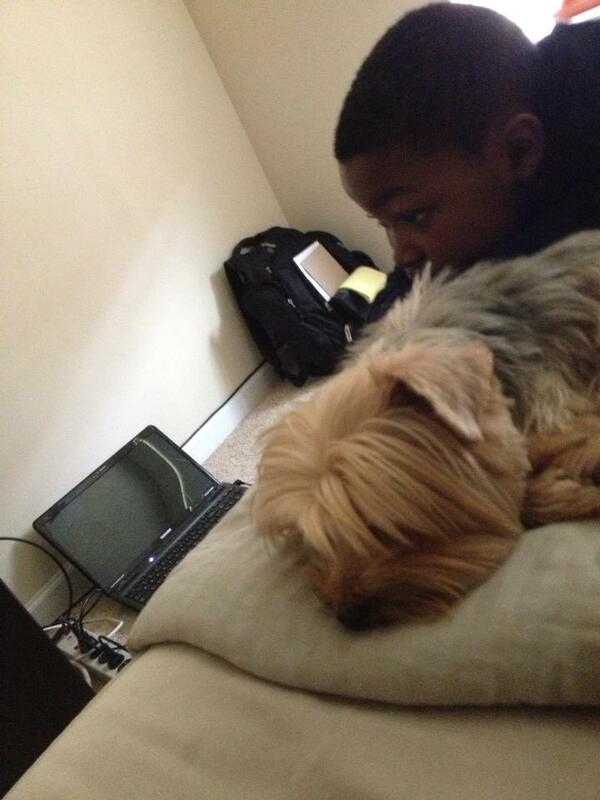 Our solution: Travel with pets in the offseason. It saves money as hotel room rates are lower than in the summer and it lets the “whole” family enjoy the trip.